The aim of the Konstanz research team is to shut down this quinolone-based communication. The enzyme PqsD plays a central role in the biosynthesis of quinolones. 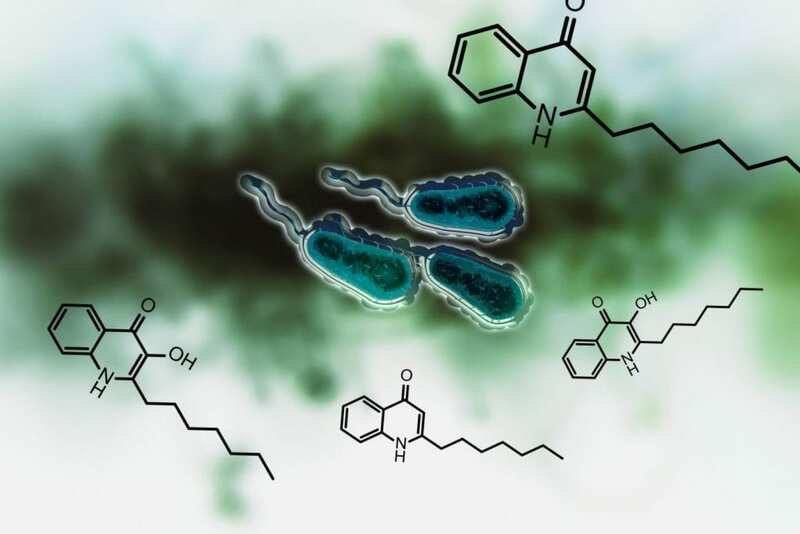 The researchers were able to develop a molecule that can be used to inhibit the enzyme and thus to prevent the bacteria from producing quinolones that help the bacteria to determine their population density. Inhibition of the signal renders them unable to produce toxins and virulence factors. "We are disrupting the communication between the microorganisms", says Thomas Böttcher. Another publication from Thomas Böttcher's research team appears in Chemistry – A European Journal and focuses on virulence factors and a drug considered an "essential medicine" by the WHO. This research aims to understand why some enzymes in bacteria produce small siderophores made of either two or three building blocks. * Research on why some enzymes in a bacteria produce siderophores made of two building blocks and other enzymes produce siderophores made of three building blocks. * The metabolites produced by cyclization of two building blocks include virulence factors for diseases affecting fish and insects, while structures consisting of three building blocks are in one of the most important drugs used worldwide. * Funding provided by the Emmy Noether Programme and the Konstanz Research School Chemical Biology (KoRS-CB).